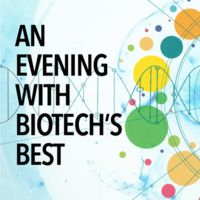 On March 21, 2018, the National Science and Technology Medals Foundation will host An Evening With Biotech's Best at the University of Southern California. The event will feature National Medal of Science Laureates and pioneers of the biotechnology industry Marvin Caruthers and Leroy Hood. The Laureates will be joined by Dr. Andrea Belz, Vice Dean for Technology Innovation and Entrepreneurship at USC, and Dr. Andrea Armani, the Ray Irani Chair of Engineering and Materials Science at USC. The conversation will focus on recent developments in biotechnology and their applications from personalized medicine to public health, as well as, the panelists' experiences working in academia and industry. Following the panel discussion, the audience will have the opportunity to ask questions of the speakers. The program will conclude with a short reception for all. This event is free and open to the public. To attend the event in person, please register on Eventbrite.